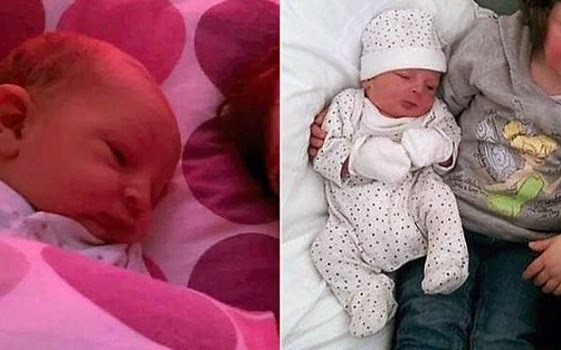 A 6-week-old baby named Noah Pearson (pictured above), suffocated to death in his sleep after being deprived of oxygen while sleeping in between his parent in bed at their home in Bradford, in West Yorkshire. Noah’s father took him into their room to sleep in his Moses basket which was placed by his side of their bed. But when Noah started to cry around 5am, his father took him from the Moses basket and brought him into the bed he shared with his partner and placed him between them. When the couple woke up at about 8.50am, they found blood coming out from Noah’s nostrils. He was immediately taken to the Bradford Royal hospital where test showed he died from Sudden Infant Death syndrome after being deprived of oxygen. At an inquest, a doctor warned of the dangers of parents sleeping with their babies as a coroner said a contributary factor in Noah’s death on May 31 was “co-sleeping and parental alcohol consumption”. Consultant paediatrician Dr Eduardo Moya told the hearing that the parents’ decision to co-sleep with their baby and having consumed alcohol that night may have contributed to their baby’s death. He said baby Noah was found to have a minor rhino virus, akin to a nose cold.